Eric Whitacre, complete with a cheeky smile and armed with a ridiculous amount of charm enchanted his audience on Saturday night. The young American composer conducted numerous original works and more traditional orchestral and choral pieces, performed by the Choir of Trinity College and the Monash Sinfonia. Before every piece commenced Eric explained with passion and humour the story and significance behind each song, giving his grateful audience a deeper insight into the music. Stand-outs and crowd-favourites composed and conducted by this golden-haired boy were “Five Hebrew Love Songs” and “Animal Crackers“, as well as Bach’s beautiful “Come Sweet Death“, which saw Whitacre stand aside, letting the choir members sing at their own pace and creating an eerie and oddly intriguing piece. “Five Hebrew Songs” was created fifteen years ago, inspired by his ‘hot Israeli girlfriend’ at the time. Whitacre explained he had asked her to create five short Hebrew poems on the backs of different post cards, and then set these beautiful lyrics to music. Fifteen years later the couple are still together, and very much in love. Clearly besotted by his wife he consistently blew kisses to her, and passionately dedicated numerous numbers to her. “Animal Crackers” was a quirky musical anthology which had the audiences in stitches. It was a series of short original compositions based on various animal poems by Ogden Nash. Stories included the cow, the firefly, panda and appropriately the kangaroo- ‘that should be grateful it was not transmuted by a boomerang, otherwise it would be turned in to a morang.’ As Whitacre created these intriguing little bits of comedy, he related how he would consult with his five year-old son to check whether they were in fact funny or not. Overall his show was a delight. The choir sang beautifully, and the orchestra were seamless. 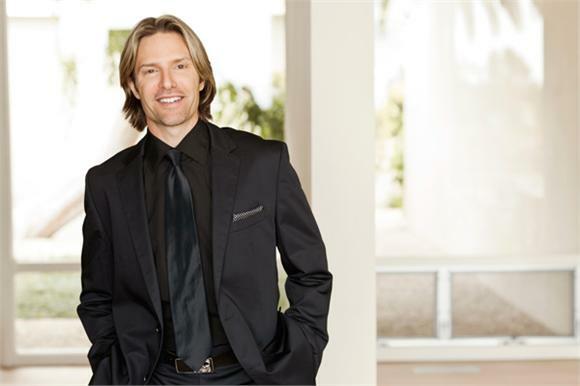 Watching Eric Whitacre conduct was mesmerizing: it was like watching some strange bird dance in the wild, with flowing hand gestures and occasional little stamps and backside twists. The beauty of Whitacre is that he was so engaging and passionate about his music that he was able to make the audience feel that same love and amazement that he does when experiencing it.